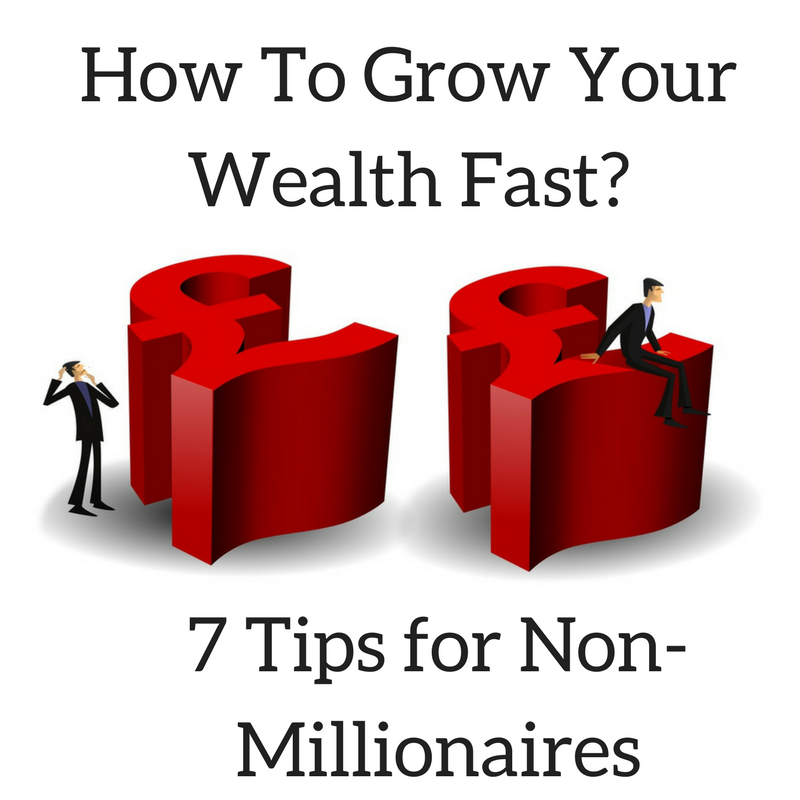 Nearly everyone wants to grow their wealth and financial assets. Sadly, only a handful of them really has effective solutions to turn this dream into reality. Of course, increasing wealth isn’t easy. But it isn’t impossible either. After all, so many people have done and are doing it—why can’t you? These instances help, but they aren’t mandatory. Even if you’re an entry-level employee working in banking, healthcare, tech, hospitality or retail sector, you can significantly boost your bank account—quickly and easily. All you need is a bit of planning and smart decision-making. There are no secret ways to improve your financial standing. And there are no hard-hitting rules either. Even when you’re just a regular employee at a small organization, you can increase your wealth without any pay hike (and lottery!!). Making a billion seems a distant and unrealistic idea even for optimists. But you can be sure to have much more money than you have right now within a span of a few months. Like the start of any exciting journey towards a big goal, you need to be very sure about how much money do you want to make. And how quickly do you want that… You need to be very certain on this and having the right mindset is quintessential. Knowing the exact figure and time-frame will guide you to follow the strategy on how you can achieve this. So the first step is to be definite about your needs and planning. Write down the goals you set to ensure you never lose track of this destination. You must be very careful here though, ensure your plans and goals aren’t unrealistic. This is a mistake that many make. And unsurprisingly, they fail to get what they want. Don’t save to save—save to invest!Saving from your salary will NEVER make you rich. Even when done for a year, the savings won’t be sufficient to afford you a family holiday to a nice place. So don’t just let your money be a sitting duck in your bank account—make it work for you. David Bailey said, “To get rich, you have to be making money while you’re asleep.” So don’t save your money just for the sake of it—save it to invest. Your next move here is to go for low-risk investment UK. Find the right avenues to invest where risk is low and the reward is high. You won’t know about investments unless you make attempts to know. So don’t just sit back and complain “I don’t know how that works”—work towards knowing the secret formula. Start reading and learning about different investment avenues. Attend seminars, talk to other investors. Understand and have a good grip on low risks investment definition. Identify opportunities for low-risk investments for beginners—is it private bank bond, private bank investments, real estate or something else. Know which one is ideal for your needs, goals and budget and then move forward in that direction. Don’t try to do everything aloneWhen you’re trying to get to the top of the mountain, having someone by your side for additional help and assistance is nothing short of essential. So, especially if you’re just a rookie, the investment could be a tricky business. So get in touch with experts who specialise in low-risk investment UK. Seek their help to find and invest in the right asset. Drawing from their experience and analytical skills, these professionals will help you find the best low-risk investments for retirement and beginners that optimize your return without risking big. Hand-in-hand with them, you will enjoy much more and quicker return than you could have achieved, alone. Minimise taxesWhen you’re making more, you will also have to pay more in taxes. In fact, taxes can take away a large chunk of your income and investment returns. So it is always very important that you minimise your taxes—legally. There are many ways to do this like you can take advantage of tax deferred investment accounts and individual retirement account. Consult your accountant and identify ways to do this. You can save a great deal of your money this way. It’s not a race; go slow and easyThe journey to increase your wealth isn’t a race. So don’t treat it that way. You might have set a short time frame to make big money from your low-risk investment UK. But when you rush, you are more likely to make mistakes. So don’t make rash and nippy decisions. Go slow. Take time to measure every aspect of your investment, weigh all the pros and cons, and then make a well-thought out decision. Always remember, you can’t make riches overnight. It takes time, lots of patience and right decisions. Invest in yourself“Health can make money, but money cannot make health.” The quote is as true as it gets. So don’t obsess money and completely neglect your own health. Maintain a fine balance between the two. Invest in yourself and your well- being. Eat healthy, sleep well and make time to exercise regularly. When you’re in a good physical condition, you can always make big bucks one way or another.